The standard cloud VM. True virtualization and completely isolated. Run any operating system and kernel on blazing fast NVMe SSD storage. Cost-effective container based virtualization. Awesome Solid-State performance for a low price thanks to the shared kernel. Linux only. Also the standard cloud VM, but with huge amount of HDD storage for a great price. Perfect for your backup data. Internal network available. 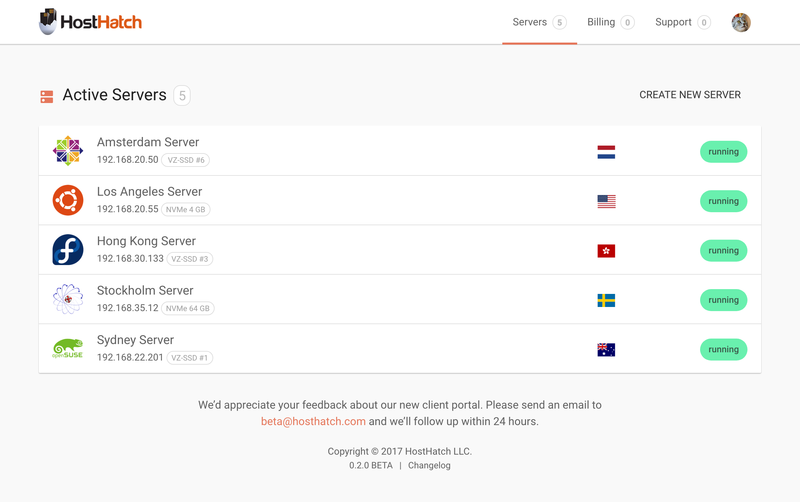 Quick registration process and instant server setup. We will get you online in a minute! We offer unlimited DDoS protection up to 500Gbps via Voxility in Amsterdam for just $3/mo per IP-address. We are a 24/7/365 company with our own in-house staff. We'll always be here ready to help you. We only use top-notch Intel CPUs and combine them with blazing fast NVMe SSDs. User-friendly & all-in-one control panel with custom ISOs and much more. Five locations in four continents, all with lightning-fast and super low latency network. — our NVMe powered servers perform 5 times better.